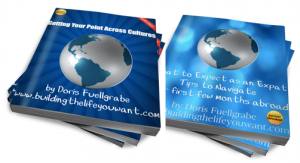 Grab your copy of "Getting Your Point Across Cultures" and "What to Expect When You're an Expat" Now! Getting Your Point Across Cultures is full of communication tips for expats and travelers. 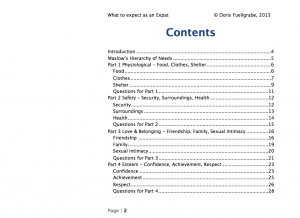 What to Expect When You're an Expat looks at the five levels of Maslow's Hierarchy of Needs and how they correlate to stress points in the expatriation journey. 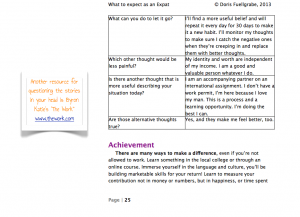 Complete with tips, resources, and coaching question worksheets to help you find your own answers. Quick sign-up to show we're allowed to send you the free ebooks! We'll add a monthly newsletter with blog-post roundups and lists of industry events as well. If you just want the eBooks, you can unsubscribe from the newsletter with one click.